Ingredients:Water (Aqua, Eau), Glycerin, C12-15 Alkyl Benzoate, Caprylic/Capric Triglyceride, Palmitic Acid, Stearic Acid, Chlorella Protothecoides, Algae Exopolysaccharides, Citrullus Vulgaris (Watermelon) Fruit Extract, Hydrolyzed Myrtus Communis Leaf Extract, Lens Esculenta (Lentil) Fruit Extract, Pyrus Malus (Apple) Fruit Extract, Collagen, Sodium PCA, Ribose, Sodium Lactate, Leuconostoc/Radish Root Ferment Filtrate, Butyrospermum Parkii (Shea) Butter, Dimethicone, Tetradecyl Aminobutyroylvalylaminobutyric Urea Trifluoroacetate, Glyceryl Stearate, Glyceryl Stearate SE, Cetearyl Alcohol, Sodium Hydroxide, Disodium EDTA, Xanthan Gum, Magnesium Chloride, Potassium Sorbate, Sodium Benzoate, Citric Acid, Ethylhexylglycerin, Chlorphenesin, Caprylyl Glycol, Phenoxyethanol, Fragrance (Parfum). 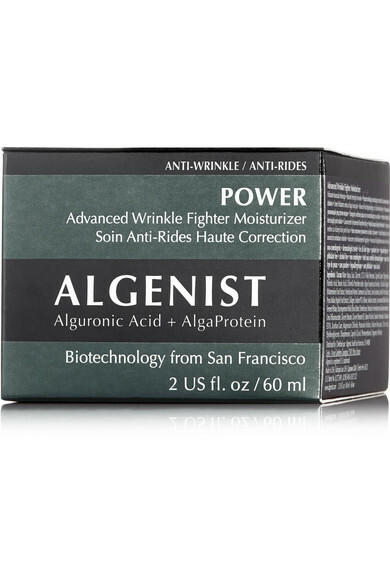 Algenist's powerful moisturizer is formulated to help minimize the appearance of wrinkles in just 10 days. Enriched with Alguronic Acid and AlgaProtein to target fine lines, dark spots and uneven skin tone, it claims to visibly improve firmness and elasticity for a healthy and more youthful complexion. 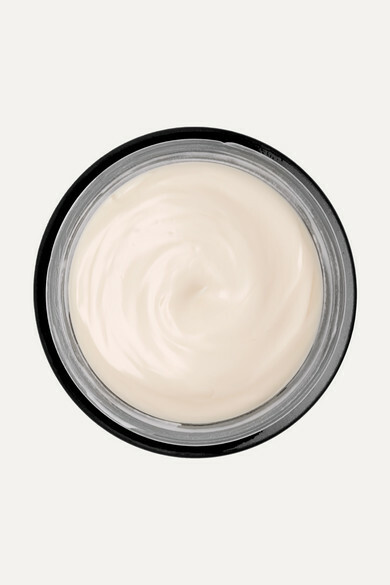 Apply it after using the brand's GENIUS Ultimate Anti-Aging Foaming Cleanser.